National drug chains squeeze local pharmacies out of business, while corporate downsizing ships jobs overseas. All across America, communities large and small are losing control of their economies to outside interests. Going Local shows how some cities and towns are fighting back. Refusing to be overcome by Wal-Marts and layoffs, they are taking over abandoned factories, switching to local produce and manufactured goods, and pushing banks to loan money to local citizens. Shuman details how dozens of communities are recapturing their own economies with these new strategies, investing not in outsiders but in locally owned businesses. 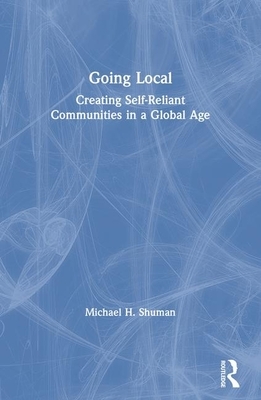 Michael H. Shuman, co-director of the Village Foundation's Institute for Economic Education and Entrepreneurship, is author of five books and numerous articles on the relationship between community and international affairs. His work has appeared in The Nation, The New York Times, Foreign Policy, and The Washington Post. He lives in Washington, DC.